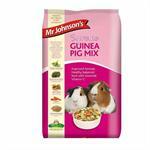 Titmuss Guinea Pig mix is formulated to address the specific nutritional requirements of guinea pigs. 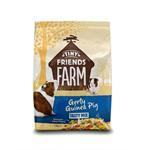 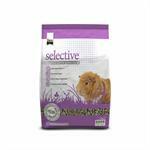 A complete food suitable for guinea pigs of all ages – delicious ingredients such as maize, oats, wheat, beans and alfalfa make this a nutritionally complete and balanced diet for guinea pigs. 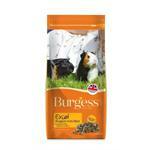 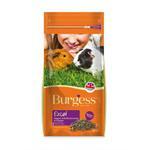 Burgess Guinea Excel is a fully extruded nutritionally balanced complementary feed for guinea pigs with enhanced levels of Vitamin C.
Burgess Guinea Excel is a fully extruded nutritionally balanced pet food for guinea pigs with enhanced levels of Vitamin C.
With all the goodness of standard Excel Guinea Pig but with added great-tasting ingredients to offer additional health benefits and variety to the diet. 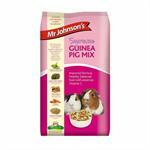 Supa Guinea Excel is a fully extruded nutritionally balanced complementary feed for guinea pigs with enhanced levels of Vitamin C.
A nutritionally complete and balanced diet for guinea pigs. 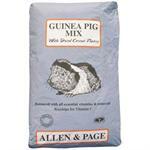 Supreme GUINEA PIG MIX is a fibrous, nutritious and wholesome blend of steam flaked peas, cereals, grass, alfalfa, pellets and extrusions - supplying your guinea pig with a tasty, healthy food. 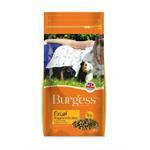 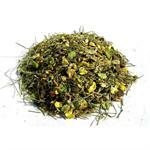 Made from high quality ingredients including cereals (barley, maize and oats), peas,beans, real carrot pieces and mint.